Serving Manhattan’s Upper East Side & Upper West Side in the convenience of your home. Please contact Lauren for more information regarding Occupational Therapy for your child, questions pertaining to your child’s OT development, and/or to schedule an appointment. 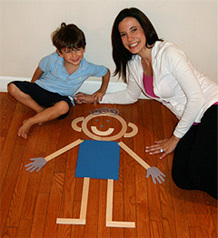 Lauren provides private occupational therapy services. She does not accept insurance.